I have changed my walking time into the early morning from the time before noon since June 30th (Sunday). I came back home around 6:30 after waling for about an hour on the first day, feeing lucky because it began raining afterwards. 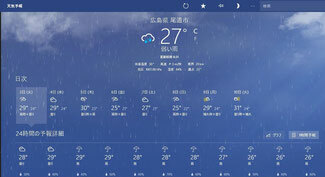 But it will be no good a day for walking today on July 3rd because of the rain by the typhoon.